Apple's Time Machine backup system was born in a time (2006) when Apple realized that customers weren't routinely backing up their Macs. So a simple, stopgap system, with some novel features, was devised for the novice user. Unfortunately, over the years, the app hasn't progressed and kept pace with modern user needs. Today, most every tech writer says: Use it, but don't trust it completely. This is an unfortunatel situation. During WWDC in 2006, along with the announcement of OS X Leopard, Apple's Scott Forstall noted that only 4 percent of Mac users were using automated system to backup their Mac's hard drive. He then introduced the new Time Machine app, which shipped in 2007, to solve that problem. The presentation is in this video starting at 31m:16s. Time Machine: announced with OS X Leopard by Scott Forstall. In addition to an regularly scheduled, automated backup that's incredibly easy to set up, Time Machine's killer feature was (and is) the ability to go back in time to resurrect accidentally deleted files. Today, most Mac users know that they should just connect a local hard drive to their Mac and turn on Time Machine. When it works, which is most of the time, it's a joy to see. However, today, a decade after its introduction, there's a problem. In recent years, our storage needs and corresponding devices have grown dramatically while Time Machine has introduced only minor new features—none that provide the user with clarity and confidence in the state of the backup nor meet modern operational needs. Mac sales are surging, even cannibalizing iPads. Action is necessary. For example, Time Machine doesn't, in normal operation, create a bootable backup of the internal drive. It can only restore a damaged (or new) internal drive from the Time Machine archive. Modern best practices always dictate that one use, for example, an app like Carbon Copy Cloner. This app does create a file by file perfect copy of the internal drive that's bootable. Also, Time Machine is primarily geared towards a backup of the main internal boot drive, not (selectively) all online drives. Next, there is no easily digestible, user accessible log file available for inspection within the Time Machine System Preference. There is a backup file log maintained, (.Backup.log) but it's an invisible file, not intended for user inspection and the production of warm fuzzies. Finally, there is very little in the way of diagnostics or feedback to the user about the integrity of each backup. In other words, the user has no usable tools within Time Machine. that can be used to verify the integrity of the current backup other than a casual visual inspection. If a Time Machine backup gets hung up or mangled, most users are left in the dark and find themselves forced to start all over, regretting that a possible valuable archive needs to be overwritten. The state-of-the-art in Time Machine is that countless, indeed brilliant articles have been written over the years teaching us about its ins and outs. It does have its intricacies, especially when used with a network drive. Just one recent example is "What to do when mobile Time Machine backups linger and fill storage space," by Glenn Fleishman. The issues is not that we cannot find and read excellent tutorial articles on how to deal with typical Time Machine anomalies. Rather, the issue is that Apple insists on keeping the service simple and intuitive and has failed, over the years, to migrate the user base to a higher level of sophistication and robustness. During that time, other products, for example, Data Backup 3 from Prosoft Engineering, have filled the gap for more assiduous users. Apple has said, in essence, that they are only going to cater to the most basic needs of the average user and will leave more complete approaches to third parties. The Time Machine emperor, in essence, has no clothes. The net result is that in most every modern article on Macintosh backups that I have seen, the author is (politely) obligated to point out that Time Machine should be supplemented by a second, more robust solution. In other words, Time Machine is a good first line of defence, but due diligence dictates supplementing it just to be sure. This a difficult position for Apple to be in in 2016. 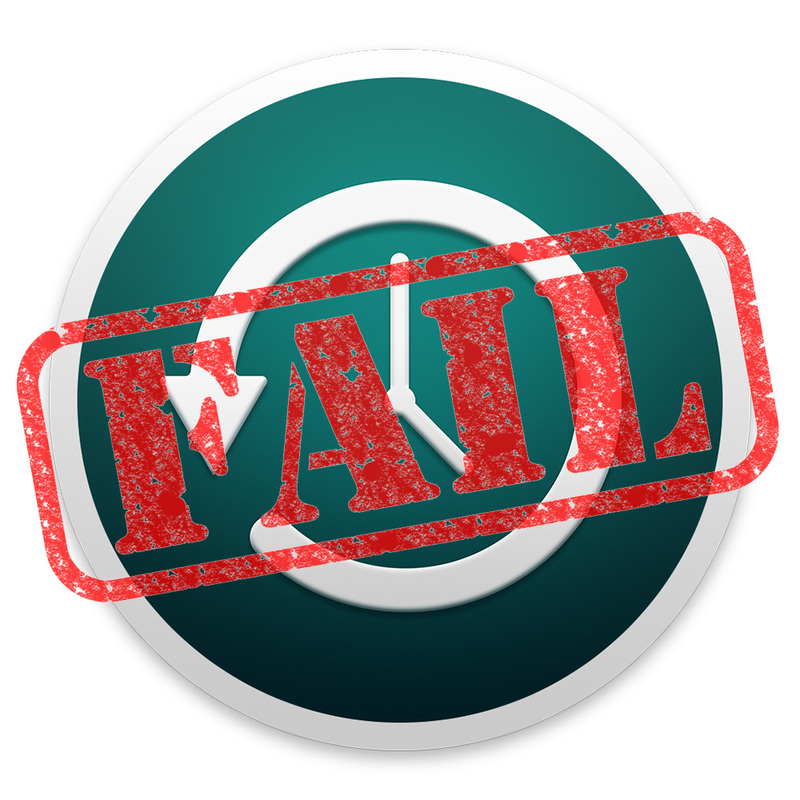 The very app that every Mac user depends on has been labelled not good enough by the expert tech writers. The average customer is left to wonder why the flagship backup product from Apple is wanting and should properly be supplemented. What is it, exactly, that has restrained Apple from advancing the state-of-the-art of Time Machine? Why can't the modern customer can completely depend on it for all modern backup tasks? After all, in the past, Apple has never been shy about creating terrific software that makes all the third party stopgap efforts appear obsolete, incomplete and awkward in their GUIs by comparison. With this kind of neglect, modern Apple customers have come to the nagging realization that Apple has failed to up its game in that critical area of backups that they are now so keenly aware of—thanks to massive files and modern security issues. Mainstream users are left with conflicting advice, politically correct excuses for Apple's modest efforts, and the need to consult experts on the Web to bail them out of snafus. Apple customers shouldn't have to wonder about all this. They should, instead, have the best backup software on the planet directly from Apple.